Domestic Flights (Luang Prabang– Hanoi ; Hanoi - Danang ; Hue-Hochiminh ; Hochiminh –Siem reap ) –Charge from USD/pax (including airport taxes). You will be welcomed to Luang Prabang airport by your guide. 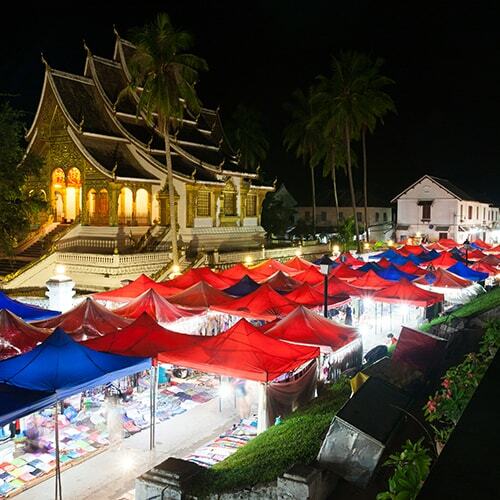 Once the heart and soul of the ancient kingdom of Laos, Luang Prabang is now a designated World Heritage-listed site. 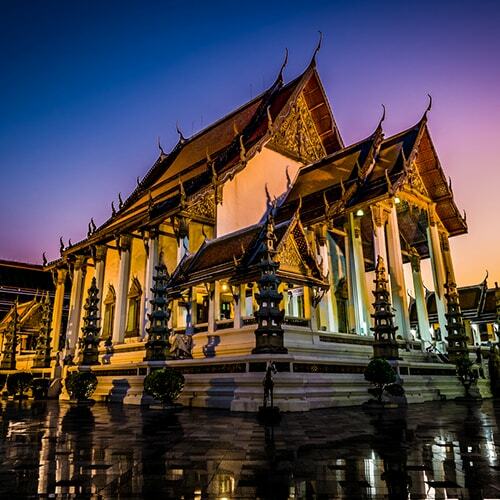 The city is filled with ornate temples, French colonial architecture and has a truly magical feel about it. 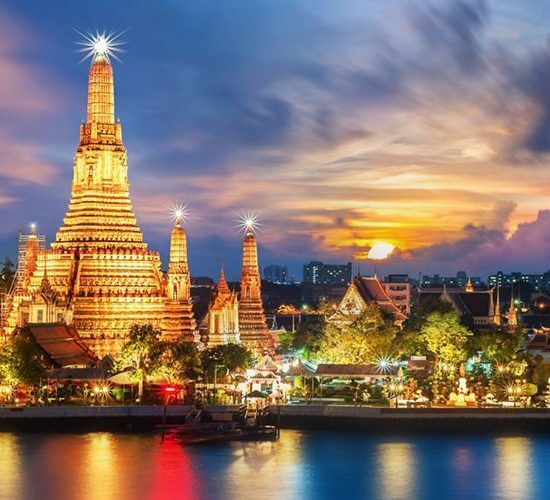 You will visit major sites including the National Museum, the impressive stupa of Wat Visoun, the shrine of Wat Mai and Wat Xieng Thong. Lunch at local restaurant.Dinner on your own. 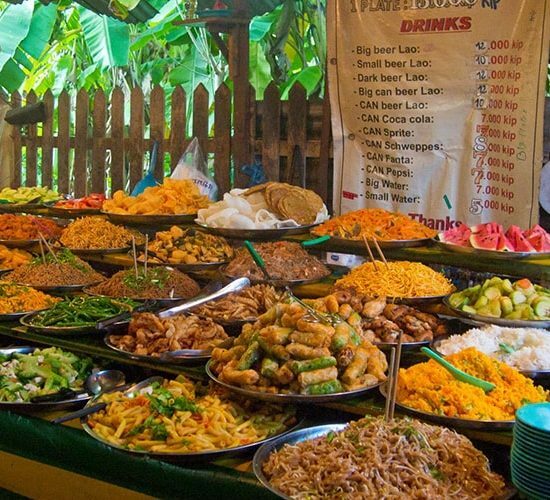 Breakfast, we enjoy a short-guided tour seeing the city’s oldest temple of impressive stupa of Wat Visoun and the shrine of Wat Aham, Wat Mai, Wat Sene and the magnificent Wat Xiengthong with its roofs sweeping low to the ground, which represent the classical architecture of Luang Prabang temple. 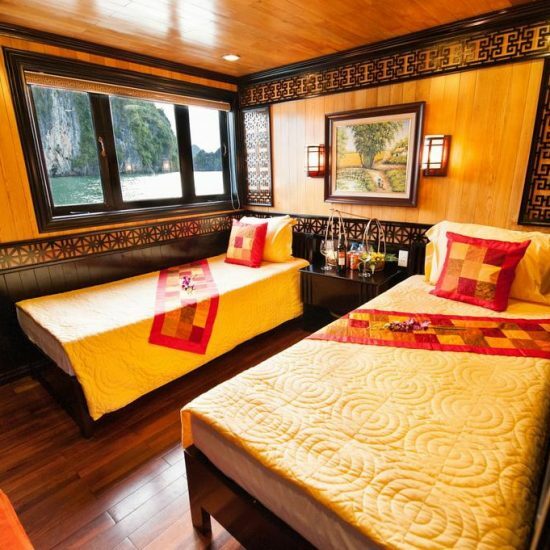 We then board a boat embarking upstream on the Mekong River, which also gives us a beautiful view of the tranquil countryside as well as an interesting visit to the mysterious of Pak Ou Caves, crammed with thousands of gold lacquered Buddha statues of various shapes and sizes. Along the way, we stop at the village of Ban Xanghai, where they make the local rice wine. 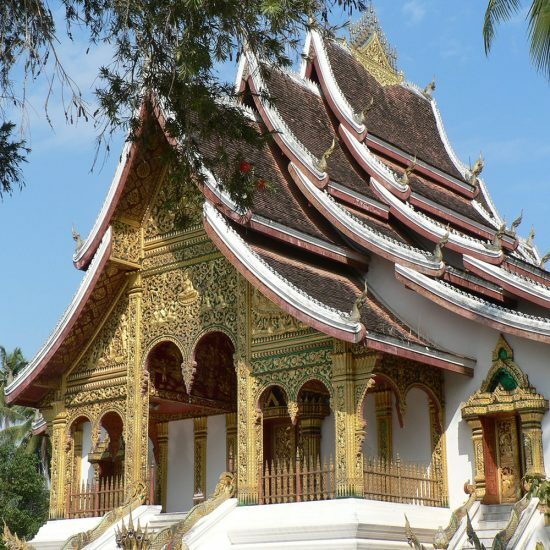 On return, we overland local villages at Ban Xiengmene and Ban Chan continue seeing the royal temple at Wat Longkhoun, which once belongs to royal family patronage and near by Sackarine Caves. We cross to city and take a short drive to Ban Phanom, well known for its hand weaving. Breakfast, transfer to the airport for Hanoi. Arrive at Hanoi and welcomed by our guide then transfer to the hotel. Free time in Hanoi old quarter. 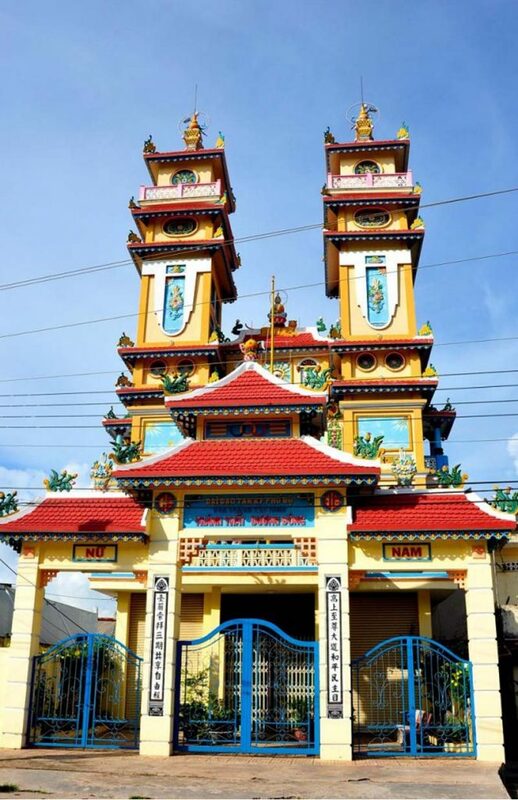 Tran Quoc Pagoda, the oldest pagoda in the city. Temple of Literature, Vietnam's first national university. and enjoy a rickshaw tour in the Ancient Quarter with its antique shops. 17.30: Drop off your hotlelOvernight in Hanoi. Attention: The itinerary Halong bay is subject to change due to the weather, tide level and operating conditions without prior notice. 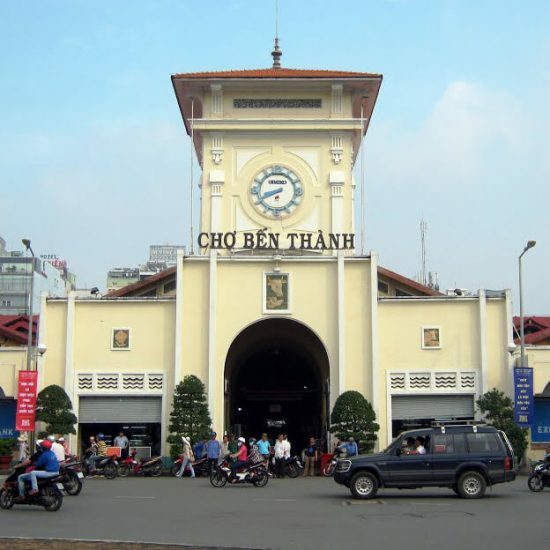 After breakfast in the hotel, transfer to Noi Bai Airport for a short flight to Danang located in the centre of Vietnam. Guests are welcomed by our guides when arriving in Danang and transferred directly to the Cham Museum. The luggage is taken care of by porters and delivered separately to the hotel. 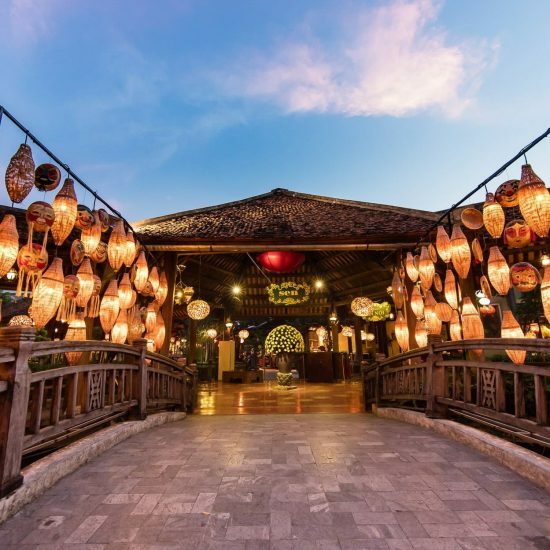 After visiting the Cham Museum, which contains the finest collection of Cham sculptures in the world, transfer to the charming historic town and the former trading port of Hoi An. 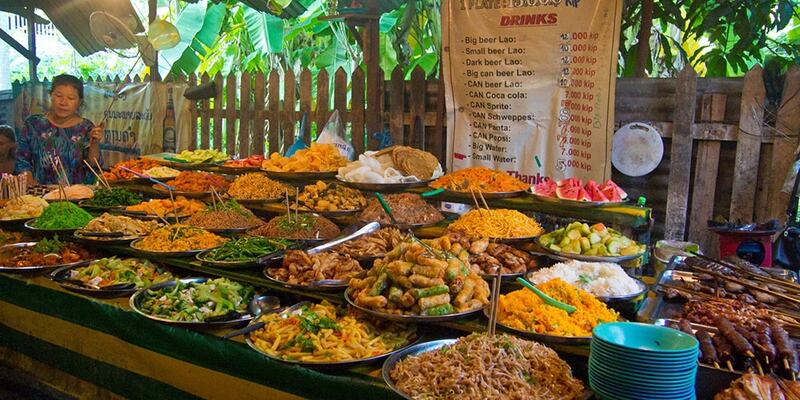 Lunch is served in a typical local restaurant, Tam Tam restaurant. In the afternoon, taking a walking tour around Hoi An ancient town and exploring its treasures: the Japanese Bridge, PhucKien Assembly Hall, PhungHung Old Merchant House. After breakfast in the hotel, free time until the transfer by air-conditioned coach over the spectacular Pass of Ocean Clouds to Hue. 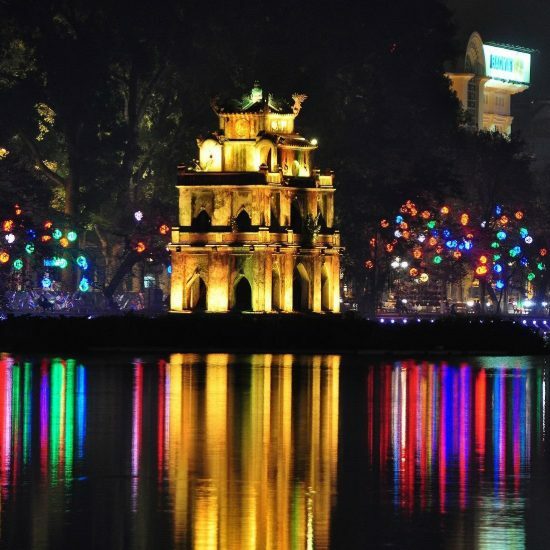 Hue is the former imperial capital of Vietnam from which the Nguyen Dynasty of emperors ruled from 1802 till 1945. 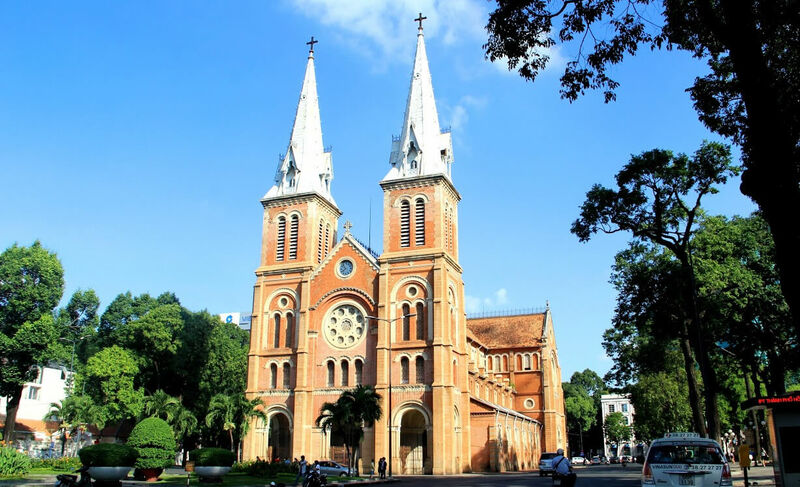 Afternoon, visit the Imperial Citadel, City of the Nguyen Dynasty (1804-1945), Visit some of the most highly revered site in this World Heritage area; The Flag Tower, South Door, Edict Pavilion, Supreme Harmony Palace, and the Forbidden Purple City. 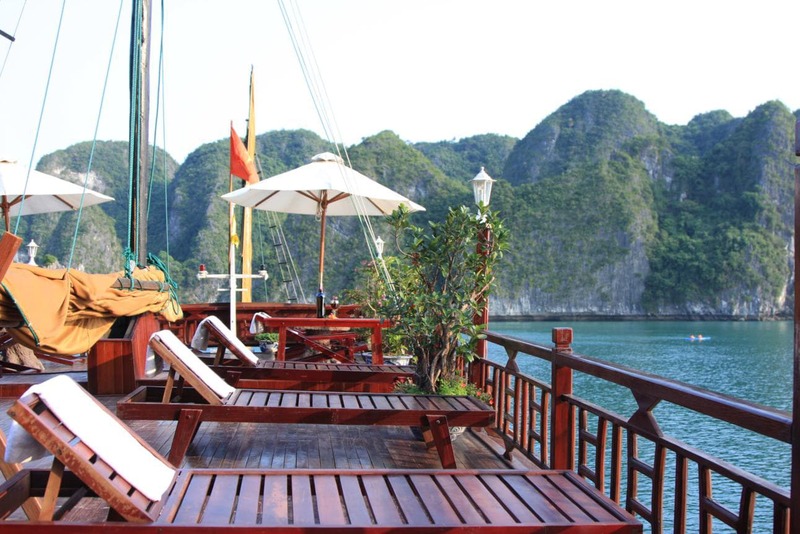 After breakfast at hotel, pick up at your hotel, take a boat for a cruise on the gentle Huong River. After breakfast, transfer to Hue Airport for the flight to Ho Chi Minh City. 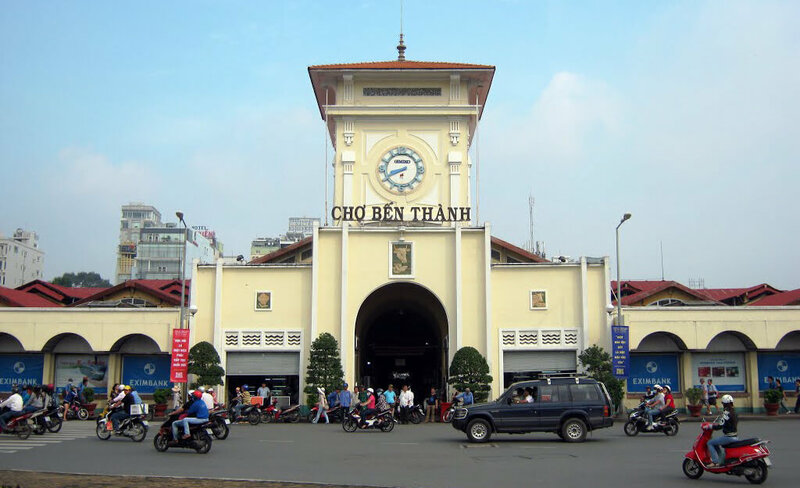 Enjoy a tour to Cho Lon and stop at Binh Tay Market and a lacquer ware factory. 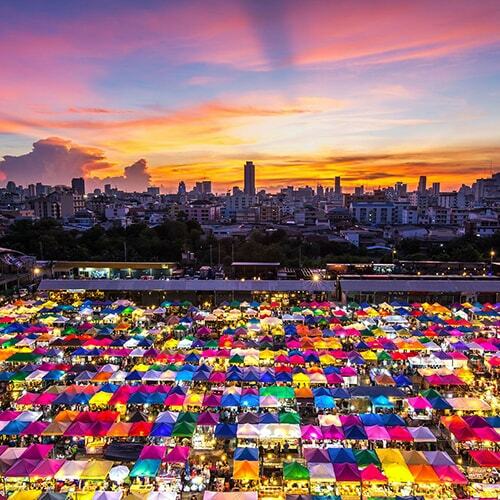 In the afternoon, enjoy a tour in the Old Colonial Residential Quarter and discover the old Hotel de Ville, the Opera House, Notre-Dame Cathedral built in the 19th century, the dazzling French-style post office and the Reunification Palace (outside). End the day with a free walk around your hotel. Arrive at Siem Reap airport and transfer to hotel for check in. 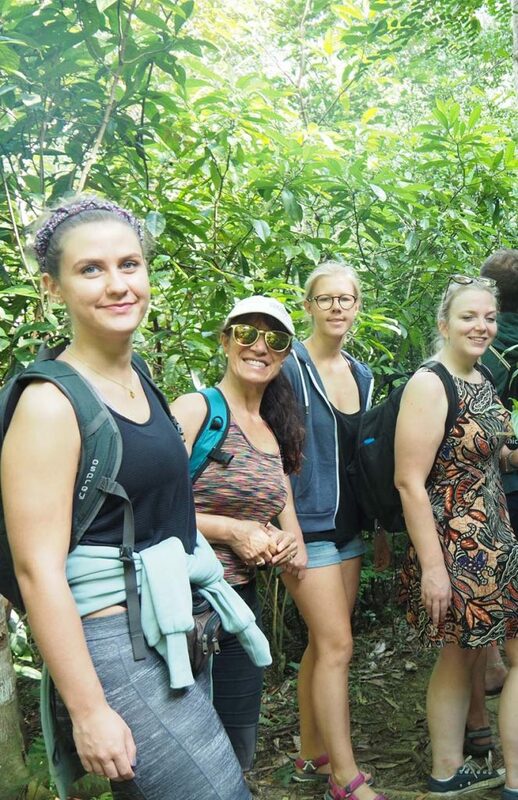 Siem Reap Orientation visit local main shrine of Preah Ang Chheck/Chhom temple, drive to southern party of Siem Reap to embark on a short cruise on Tonle Sap Lake, Cambodia’s biggest natural water body. The experience is wonderful as we pass by floating village, friendly children in small boats and fishermen at work. 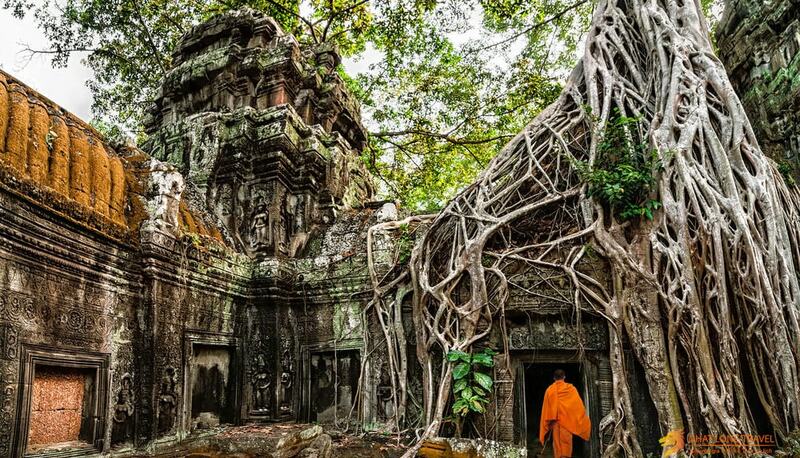 Early morning, visit the picturesque Ta Prohm that had nearly disappeared into the jungle and remains overgrown, an oddly haunting and exotic scene. The magnificent roots of a tree, pushing between the huge stone blocks of the temple in a sort of embrace, evoke feelings that you may remember forever. And continue to visit the intricately carved Khmer ruins at Angkor Wat - one of the world’s most impressive ruins. The temple still owns fine Apsara carvings in Angkorian era art.. At 09am come back to hotel for breakfast and rest in the noon to avoid of the heats of the day until 15:00 continue exploring the mysterious Royal city Angkor Thom. City & Bayon Its 54-tower temple is an awesome sight. At first glance it seems a shapeless mass of stone, but further scrutiny reveals a face, and then another and another until suddenly you are engulfed by the silent, heavy, enigmatic and silent gaze through half-closed eyes, staring out from a primitive and remote time. Further, visit to the surroundings of the complex including the Baphou, Elephant Terraces, Lepper King Terrace and Royal Place area and visit one more ruin in Angkor Area of Preah Khan temple, built in 12th century by King Jayavarman VII and it is the same style to Ta Prom Temple. Lunch at local family house. Dinner on your own. Get up in early morning, ride Tuk-Tuk to visit sunrise in front of Angkor Wat temple and then come back to hotel for breakfast. After breakfast, we continue with our vehicle to visit South Gate of Angkor Thom City and then exploring the mysterious Royal City Angkor Thom. 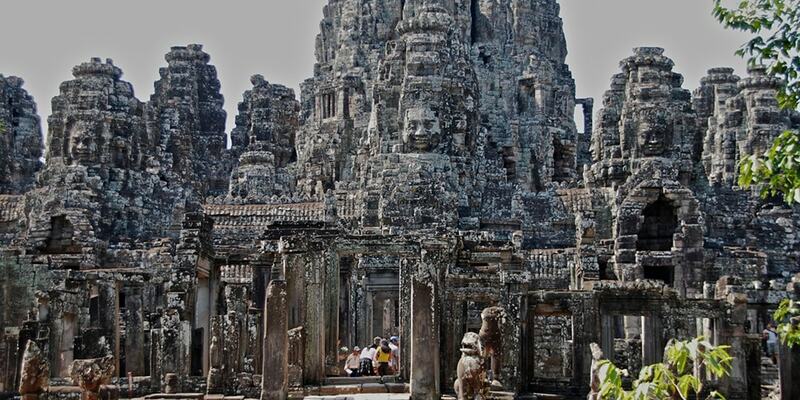 Bayon, its 50-tower temple is an awesome sight. At first glance it seems a shapeless mass of stone, but further scrutiny reveals a face, and then another and another until suddenly you are engulfed by the silent, heavy, enigmatic and silent gaze through half-closed eyes, staring out from a primitive and remote time. Further, visit to the surroundings of the complex including the Baphoun, Elephant Terraces, Leper King Terrace and Royal Enclosure area. Afternoon, we continue to visit the picturesque Ta Prohm that had nearly disappeared into the jungle and remains overgrown, an oddly haunting and exotic scene. The magnificent roots of a tree, pushing between the huge stone blocks of the temple in a sort of embrace, evoke feelings that you may remember forever. Late afternoon, visit the intricately carved Khmer ruins at Angkor Wat – one of the world’s most impressive ruins. The temple still owns fine Apsara carvings in Angkorian era art. 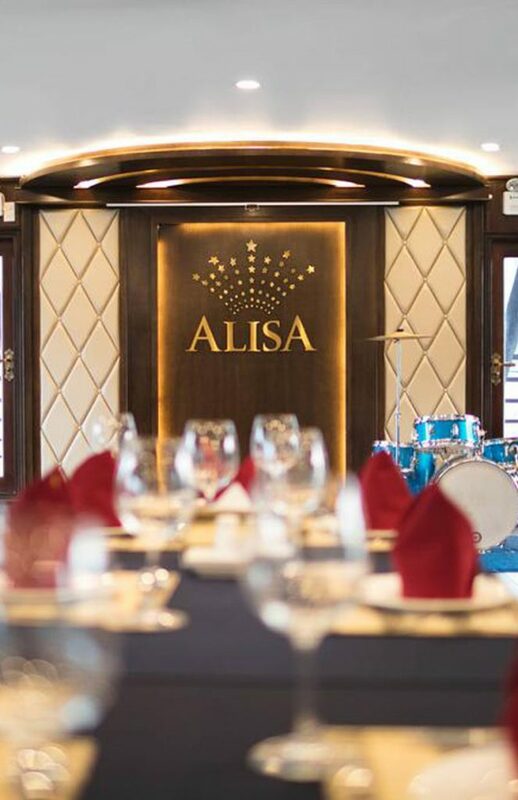 This evening, you will enjoy dinner with Apsara Dance Show and overnight at hotel in Siem Reap. 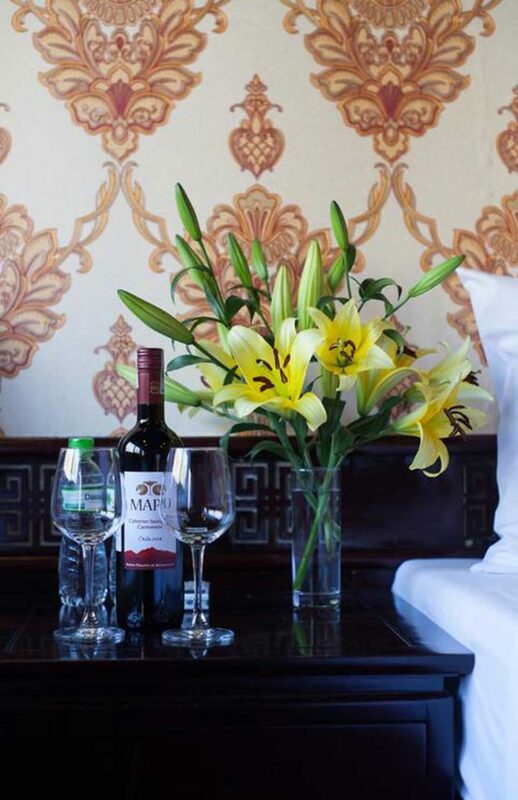 After breakfast, You have a free time to relax or visit around before transfer to airport to catch your flight departure to next destination. I had great time to enjoy 14days Laos, Vietnam and Cambodia with Nhat Long Travel. Our guide is so perfect , All meal is great , All hotel is 3 star and it’s center. Thanks Nhat Long for arranged our trip. Surely, I will recommend to our family and friend to . 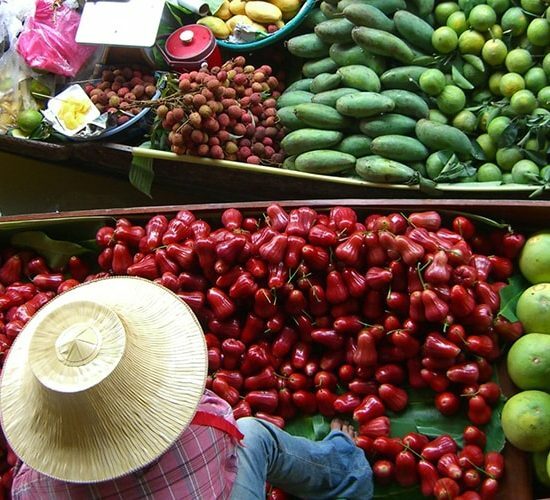 Nous sommes passé par l’agence Asia Master Tour à Hanoi pendant plus de 3 semaines, du nord au sud, au Laos et au Cambodge. Nous avions monté ce voyage en privatif pour un couple est ma note est de 20/20. Tout est respecté, aucun problème. Pour les guides, ils sont très génial et ont parfaitement compris ce que nous attendions.